Gift shopping in Japan can be easy in some ways and difficult in others. Christmas poses challenges of its own that differ from even birthday shopping and the like, however, not least that you are possibly in the market for a lot more presents for a lot more people. Here, however, I am less concerned with the gifts themselves than with the various accessories you need to present them and where on earth you can get them hereabouts! Wrapping paper is a bit of a challenge whatever the occasion in Japan. 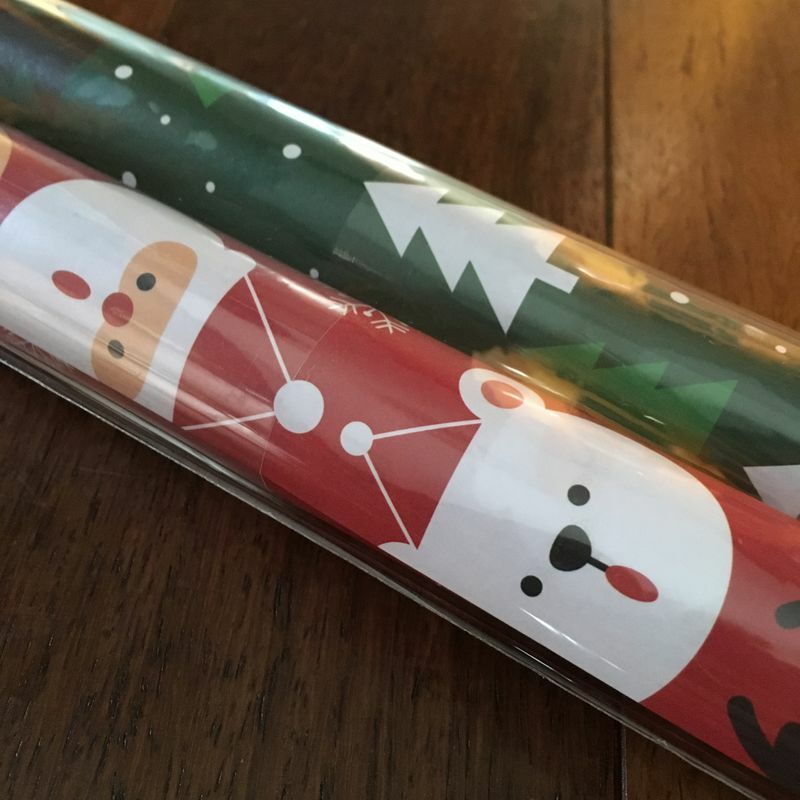 Despite the Japanese being renowned for their beautiful wrapping skills, the variety of wrapping paper readily available is actually quite limited, especially if you’re after something that isn’t pink and flowery. 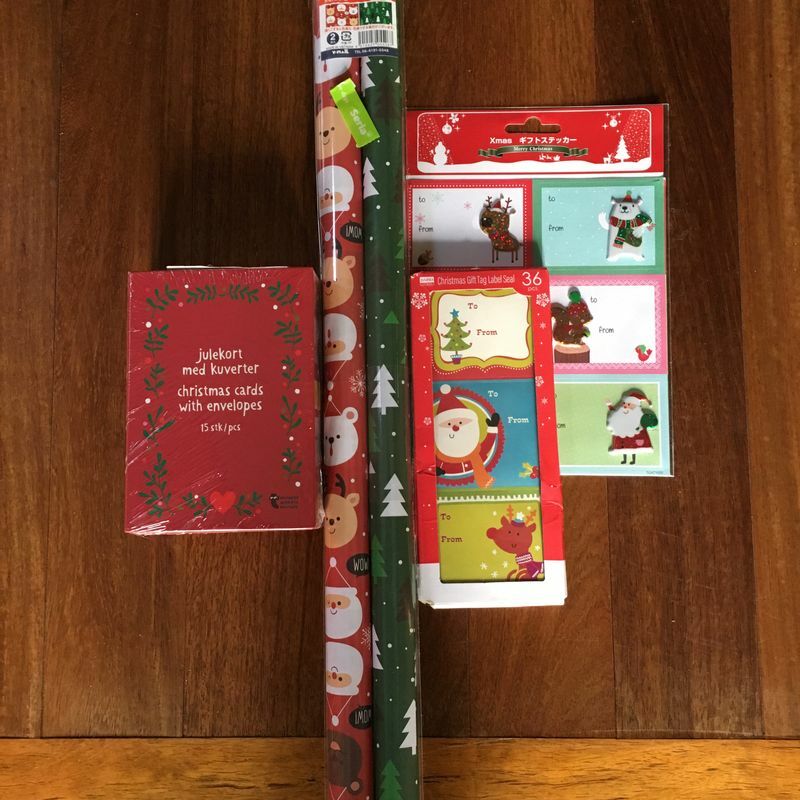 Christmas wrapping paper is also limited in terms of supply, though the variety isn’t bad and it’s getting steadily better year after year. That being said, it sells out quickly and it’s not the sort of thing you want to be caught without come Christmas Eve, when the Christmas decorations will already be making way for New Year’s goods. Get it fast! Finish reading this article and go out and buy it! Buy more than you think you need. There often isn’t very much at all on a roll of paper. Alternatively, consider getting the shops where you buy the gifts to wrap them for you. I can only speak for myself, but the presents typically look far more amazing than anything I can do myself! While the fancier and decidedly Christmas-themed paper may incur an extra fee, there's almost always something free on offer that could work just as well. The good news about Christmas cards in Japan is that they are lovely. The places that stock them, which include stationery stores, book stores and gift/variety stores, will often stock a variety of both Japanese and imported Christmas cards to suit your needs, and there are a lot of little extras involved depending on how much you’re willing to pay, such as pop-ups, music, cards made of puzzle pieces… the list goes on. The Japan-exclusive versions even feature pretty Japanese landmarks and scenery sometimes! The bad news, however, is that all of these are individual Christmas cards. It’s not easy at all to get a box of Christmas cards in bulk - the Japanese tend to channel mass greeting card send-outs into New Year (post)cards, a whole other story. You may need to strategize as best you can - decide who really needs a Christmas card and who doesn’t, consider jumping on the New Year card bandwagon, go for something electronic instead, or be prepared to pay considerably more than at home. 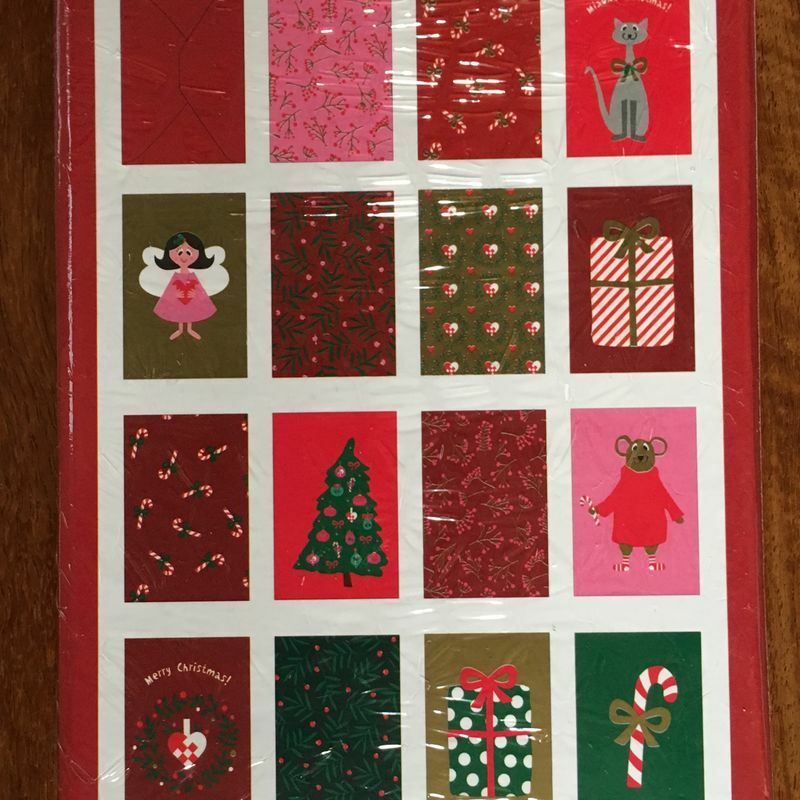 Where to get them: Individual - Loft, Plaza, bookstores; boxed - Flying Tiger Copenhagen, Amazon, Costco, and I think Daiso may have a couple of boxes of identical cards available too? If you’re going home this Christmas and expecting to be in Japan next year and giving out Christmas cards, especially if you’re thinking of giving them to Japanese locals, pick up a box there! If you’re buying a box on Amazon or at Costco, pay careful attention to the size of the card. I was delighted to buy a box of beautiful cards at Costco one year only to discover that they exceeded the weight and size limits of standard letters when I went to mail them. A lot of the Christmas cards do not have a message printed inside. Christmas in Japan is very light on the traditional religious meaning of the occasion and the Christmas cards reflect this. 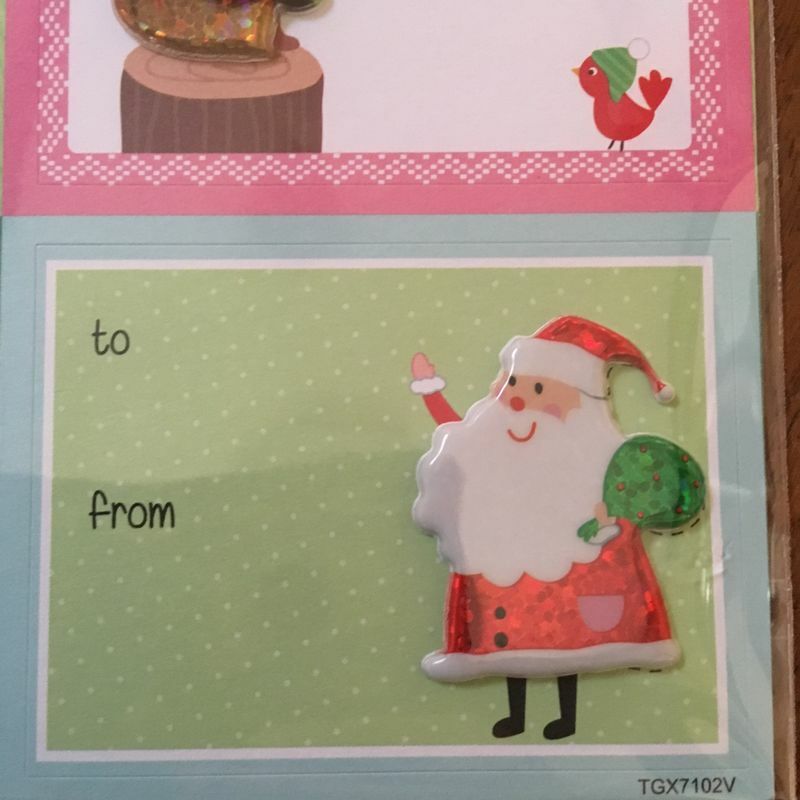 Gift tags are another item that can be hard to find. Giving piles of presents isn’t really the done thing here, so the need to label them isn’t as strong. It is getting better, though, and there are more and more gift tags showing up, typically at the same places where you buy wrapping paper. Like with the wrapping paper, I recommend not delaying and buying some when you see them. Consider getting creative! There’s no shortage of Christmas stickers and the like, and the Internet is full of printable gift tags to investigate. Whatever particular gift-wrapping accessory you're in the market for this year, the most important advice I can offer is to be on the lookout! Check out wherever you see Christmas-themed merchandise, particularly if it's a gift-oriented shop, and you might find exactly what you need waiting for you. Happy shopping, everyone, and merry Christmas! Do you have any comments on this list, or are there any additional recommendations you might make?